Hurricane Sandy was a violent storm that left so much destruction and devastation in her wake. Thankfully, all of my family, friends and pets are safe and their homes are intact. None of us have power and won’t for quite some time, but we are all feeling grateful. Finding humor in the aftermath is how I cope with the stress of the situation. 10. Halloween candy is non-perishable and there is plenty of it in the house. With some creative thinking, you can rationalize that it helps meet your nutritional needs when the rest of the food in your refrigerator has spoiled: peanut m&ms are a source of protein; Skittles and Starburst help you meet your required daily servings of fruit. 9. When the power is out, jack o’ lanterns become a festive light source. 8. Bobbing for apples is a low tech game to play during those long, dark nights. 7. No lights, television or internet access sets the mood for telling ghost stories in the dark. 6. There’s no need to worry about choosing a Halloween costume. In a dark, cold house, with the hood of a sweatshirt pulled over your head for warmth, you look just like Kenny from South Park. 5. New Halloween decorations festoon your yard when you see it in the light of day. Of course, these were probably the Halloween decorations of someone who lives 5 blocks away. 4. No power means no doorbell so you won’t hear trick-or-treaters which is a good thing since you already consumed all of your Halloween candy stash. 3. 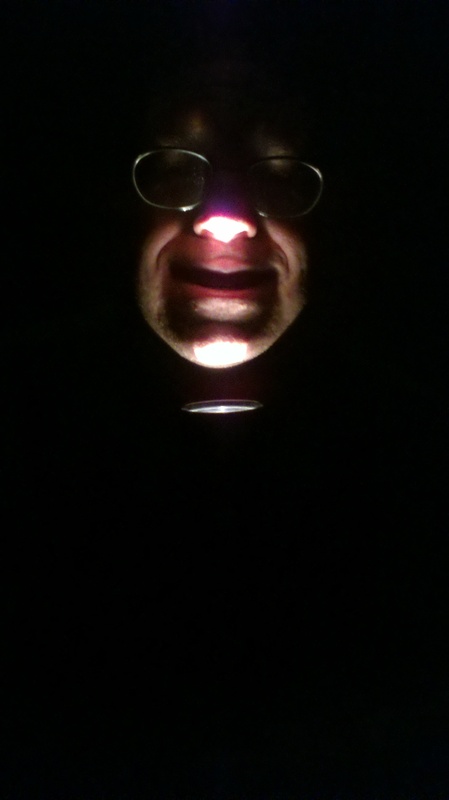 To amuse yourselves, you can make all sorts of ghoulish faces holding a flashlight under your chin. Flashlights can be a source of light and entertainment. 2. Everyone leaves your house alone on Mischief Night since it looks like it’s already been attacked. 1. You save money on going to a haunted house to be frightened because you get to cower in an interior room of your own house listening to the whistling, whipping wind scream outside as it rips the vinyl siding from your house. 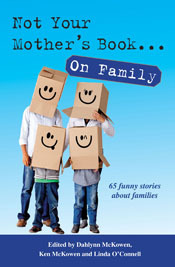 Posted in Uncategorized and tagged coping with stress, Halloween, humor, Hurricane Sandy, life, sarcasm. Bookmark the permalink. That storm was terrifying and the following 8 days without power were a true test of my Good Humored philosophy. It was not easy to find the funny when I was so cold and cranky. Oregano and I kept trying to think of ways to make the situation amusing and tolerable. We realized how lucky we were and that this situation, as miserable as it was, was only temporary. Excellent! I hope you have power by now, however! We’re on night 6 of no power with no information about when we’ll have it back. The novelty wore off long ago. Love the list – especially the flashlight fun – who couldn’t use up tons of time doing this….and really true about the costumes and halloween decorations that just showed up at your doorstep! Thanks for your kind wishes. Our situation at home has not improved. We’re on day 6 without power or heat. Luckily some wonderful friends took us in for the weekend because the temperatures dropped into the 30s. Each day we’re hopeful the power will return. It’s always worse than you could ever imagine. Stay warm and fingers crossed for sunny weather and return of power. Thanks. We need all the crossed fingers we can get at this point. Understand volunteers, neighbors, church groups, and others are trying to help – in our experience, waiting on FEMA and fed assistance is useless and waste of time. People here just take in anyone who needs a safe dry place for a while. Recovery takes a long time. Do hope your power gets on before this next front. All I can say is many are holding you in their thoughts and prayers – and take one day at a time. Thankfully, we won’t need FEMA. Everyone really pitched in and helped out friends and neighbors which was nice to see. We all shared whatever resources we had. I’m happy to report that after 8 nights without power and some sub-freezing temperatures, we got our power back on last night. I’m surprised you couldn’t hear our sighs of relief. Paprika, I’m relieved to hear that you and yours are safe. This is not an ideal time to be without power (speaking of winter weather here). Keep up your spirits (not the Halloween kind), and it sounds like you are. I’m thinking of you and wishing you the very best. Keep safe. Thanks for the kind wishes, Judy. Think powerful thoughts so we can have some power back to get our heat. Tonight is supposed to be the coldest night of the year so far. Just glad you are safe with or without lights. Great positive approach to candy! Thanks, Valentine. We’re still without power, but we’re safe. Competing with half my town for an outlet but grateful to be merely inconvenienced and lucky to be unharmed Glad same for u. May our doorbells ring soon. Glad to hear that you’re ok, Lisa. Hopefully you’ve had your power restored already. It’s getting pretty hard to find an outlet anywhere in Somerset County. We’re like bundled up zombies walking around dragging power cords. Glad you’re all okay! Every time I turn on the news I can’t believe how many people have been affected. I really like the Top 10 style. I might have to try it out soon. The scope and destruction of this storm is truly unbelievable. Yesterday was the first day I was able to see a TV and some of the aerial photos and it was horrifying. Glad you liked the top 10 idea. By all means, use it. I stole it from David Letterman. Hope your power comes back soon. We were out for about 25 hours and it was really annoying. If I had a dollar for everytime I tried to turn a light on even though I knew the power was out………. 25 hours would be a walk in the park for us. We just finished night number 3 and I’m still flipping on light switches when I walk into dark rooms. I’m just so grateful that our hot water is still working. No lights, television or computers sets the mood for telling ghost stories in the dark. Paprika, with your sense of humor and imagination you could give nightmares that would last for years to come. I think I’ll stick with silly ghost stories. Those winds on Monday night were enough to give anyone nightmares that would last for years to come. Cute way to be a little light to a dark situation… I enjoyed it! Thanks! Glad you enjoyed the post. I didn’t want to minimize anyone’s suffering, but wanted to bring a little levity to a difficult situation. So glad to hear you came through Sandy without too many problems and all safe and sound. I hope your electricty comes back on soon!! You forgot to mention that the lack of electricity allows you and your spouse lots of time to dream up new blog posts!!!! Thanks! You’d think we’d have a lot of time to come up with blog posts, but most of our creativity is being used up coming up with ways to keep warm, find power sources to charge our phones and prepare food. Glad to see that you & your family are safe, albeit without power. I hope some semblance of normal arrives at your doorstep in the guise of a trick-or-treater with a rake and a chain saw! Thanks, Elyse. We were very lucky. Actually, the governor has officially postponed Halloween until things are safer. Good. You can eat the candy with less guilt. Hope your cleanup isn’t too overwhelming. It’s not overwhelming – no power tools needed. That’s always a good thing. SO glad to hear you’ve come through (virtually) unscathed! Thanks, Deb. We’re very grateful that we’re all safe and only have only minor damage.